Hold your horses; a faster flagship is on the way in a year or two. The Audi R8 V12 TDI concept that bowed at this past year's Detroit Auto Show is bound for production. It (tentatively) promises a V-12 turbodiesel that will crank out 500 hp and a jaw-dropping 738 pound-feet of torque, while achieving 25 mpg on the highway, the company estimates. You might want to put some money down to be first in line, if the dealer permits. The 2008 Audi R8 looks and sounds like an exotic, but it has the day-to-day livability and comfort of a grand-touring coupe. 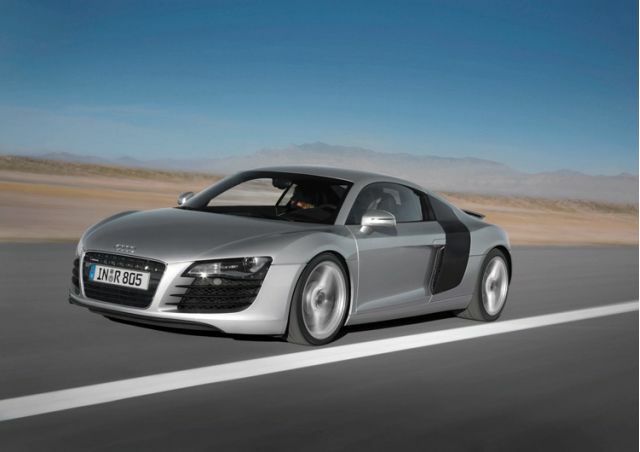 The 2008 Audi R8 is an all-new mid-engine, all-wheel-drive sportscar, powered by a 420-horsepower, 4.2-liter V-8 engine. The R8 shares some mechanical components with the Lamborghini Gallardo, though the R8 was extensively reengineered by Audi to make it more livable and to meet the German brand's standards for comfort, safety, and maintenance intervals. But the 2008 Audi R8 looks the part of an exotic, with lots of vents and air ducts that cool the engine and vent the brakes, a shape penned for beauty at speed, huge staggered wheels and stunning LED details. A glass engine cover displays the engine at night, to those who look at it from overhead, like a museum piece. The R8's lightweight aluminum body means the vehicle weighs only about 3,400 pounds. The engine is mounted just behind the front seats. The R8's engine isn't especially torquey--it needs to be revved a bit to extract all the power, but it tosses off brisk performance through either an automated manual transmission or a lovely manual gearbox with a gated shifter. The so-called R-tronic automated-manual is the choice for the track, where it nails quicker shifts than almost any driver, and expertly blips the throttle on downshifts. The R8 tucks in with a light and nimble feel at lower speeds yet also has a feeling of heft and stability at more than 100 mph. Its all-wheel-drive system can ship up to a third of the torque to the front wheels, which helps it put power down drama-free. The V-8 barks out a nice baritone, but it's not loud enough to fatigue. The 2008 R8 sits nearly five inches longer than the Lamborghini Gallardo, which shares some of its technology. Inside it's much more commodious, with several inches of additional seat travel. Tall people can drive the R8 and find ample space inside. It's not the easiest car to climb in, but once you're there, headroom is decent. The cockpit is driver-centric, like a racecar, with displays angled toward the driver. Cargo space amounts to a small bin in front of the driver and passenger. There's also a small rear cargo shelf big enough only for a small duffel bag. The R8's cabin is shy on small-item storage, too. Major options on the 2008 Audi R8 include upgraded leather, carbon-fiber trim, navigation, parking sensors, and Bang &amp; Olufsen audio. The 2008 Audi R8 has not been crash-tested. 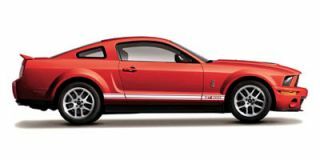 Standard safety gear includes a performance stability control mode, side airbags and knee airbags. The 2008 Audi R8 stirs the senses in a way that’s different from—but almost equal to—the exotic Italian supercars. Those seeking a vehicle that will turn heads and attract attention will definitely find what they're looking for in the 2008 Audi R8. Forbes Autos thinks it looks something like the smaller Audi TT. The R8 is much longer and sits lower. Its most stunning feature is the side air intakes that are framed by so-called sideblades. They lend it an exotic appearance. Despite a slight resemblance to the Lamborghini Gallardo, the R8 has a style all its own. Its V-8 is clearly visible and LED-lit at night. 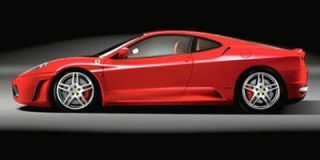 The Ferrari F430 comes to mind, according to Car and Driver says it's "as much aluminum sculpture as it is machine." Cars.com thinks it's a grabby design that "awakens the senses." Forbes Autos dubs the cabin "minimalist and no-nonsense." Automobile says it's "somewhat overstyled." The 2008 Audi R8 has power to spare, making it great fun to drive, but for maximum enjoyment, save $9,000 and stick with the standard manual transmission. Performance is the reason the R8 exists at all, and it doesn't disappoint. Audi drops its 4.2-liter V-8 in the R8 for output of 420 hp at 7,800 rpm. 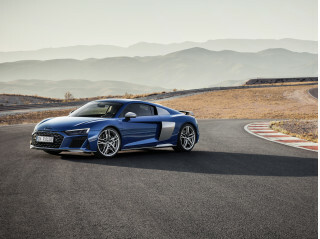 The R8 can hit 60 mph in less than five seconds, and can reach a top speed of 185 mph, Automobilemag.com says. Despite this, the Audi R8 still earns EPA ratings of 17 mpg. A six-speed manual transmission is standard. For $9,000 extra, it gets a 6-speed automated-manual transmission with a manual-shift sport mode. Cars.com thinks the optional gearbox delivers "ponderous upshifts in normal driving." 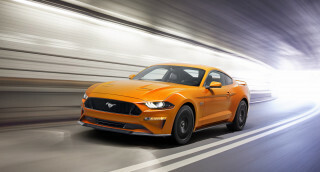 Our editors think it's a rough shifter for everyday driving, and a hammer at track speeds, where it blips the throttle and shifts more quickly than almost any human can. With the engine located behind the seats, and with an aluminum body, the R8 weighs just 3,400 pounds and has excellent weight distribution. It's a relative lightweight, compared to the Gallardo. 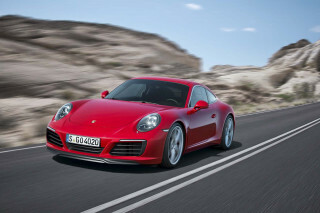 Nonetheless, according to Forbes Auto, it outweighs the Porsche 911 and the Chevy Corvette. Cars.com calls the Audi's ride a "pleasant surprise," and "comfortable beyond anyone's expectations." The R8 has an advanced suspension with front and rear wishbones and adaptive dampers that adjust for different road conditions. Road & Track thinks the R8 has some other neat tricks, including an all-wheel-drive system that makes it feel like a rear-drive sportscar. It's a "confidence-inspiring safety net." Automobile calls the brakes firm and steady, with best in class stopping performance from 62 to 0 mph in 112 feet. For a two-seat sport coupe, comfort in the 2008 Audi R8 is in abundant supply—and there’s some reasonable storage room, too. With the R8, Audi has crafted an interior with room enough for tall drivers and high-quality materials, but some busy lines and little storage space. Forbes Autos called the R8 Audi's interior "minimalist and no-nonsense." A 6-foot, 5-inch editor fit in its seats comfortably. 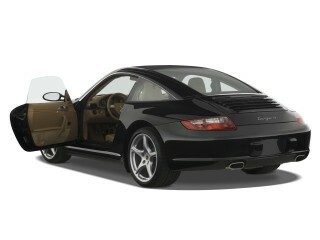 Automobilemag.com, however, had some distaste for the interior, calling it "an acquired taste." Motor Trend declares the R8's cockpit is the "more ergonomic of the two," when compared to the Porsche 911. Though it's "strictly a two-seater," Road &amp; Track says inside the R8, plenty of room exists behind the seats to store golf clubs or weekend luggage. The R8 Audi offers a 3.5 cubic foot trunk--not huge, but not bad for this class of vehicle--tucked under the hood, as well as that storage bay behind the seats. The 2008 Audi R8 sports plenty of safety gear, but it hasn’t been officially tested. The 2008 Audi R8 has not yet been crash-tested by the National Highway Traffic Safety Administration and the Insurance Institute for Highway Safety. However, a long list of standard safety equipment comes with every 2008 Audi R8. Cars.com says rearward vision is poor in the R8, though it does offer a rearview camera and parking sensors. In our drives, the roofline blocked much of the view to the rear, and even larger mirrors wouldn't help. This 2008 Audi R8's standard features have good, practical value, but to increase the "fun" quotient, you'll have to lay out a few extra bucks for one of the packages. Audi fits the R8 with plenty of features to enhance the overall driving experience. Its navigation system is easy to program and scales maps quickly. A controller runs the system as well as the audio system, and it's easier than BMW's iDrive software--though we still long for real knobs and switches, in this case. One feature that was especially appreciated at Kelley Blue Book is the metal gate that surrounds the shifter -- making shifting "so much fun, providing a satisfying 'clink' as each shift is completed." Options add even more to the R8. Some are bundled in packages that include a rearview camera, Bluetooth, extensive leather trim, and a 465-watt, 12-speaker Bang &amp; Olufsen audio system.